You Should Buy a Nexus 5 With 5 Reasons. The Nexus 5 is quickly shaping up to be one of the devices of the year, and with new benchmarks dropping today that show what a powerhouse it’s going to be, I thought it was about time to lay it all out. While nothing is confirmed as yet in terms of specs and price, there’s so much leaking going on in Camp Google that they could sink the Titanic. If everything we’ve seen so far pans out, and there seems no reason to think it won’t, here’s five reasons why you should buy a Nexus 5. If you’re obsessed with being the first kid on the block to have the latest Android version, or you’re just sick of playing the will-they, won’t-they game as to whether or not your device manufacturer will update your particular handset, then the Nexus 5 could be just the phone for you. Nexus devices are always in the VIP line for Android updates, and the Nexus 5 will be at the head of that line for quite some time – at least a year. So if getting instant OS updates and staying on the cutting edge of what Android is doing is important to you, then a Nexus device is just what you need. GFXBench T-Rex HD off-screen benchmarks have just appeared for the heavily leaked Nexus 5, and boy oh boy, is it going to be a speed machine. Posting the same marks as the shiny new iPhone 5s, the Nexus 5 will destroy all other handsets currently available, including the Sony Xperia Z1, the LG G2 (on which it is supposedly based), the HTC One, and Samsung’s Galaxy S4. The last two are givens considering they’ve been out a while, but the G2 and Z1, which are both rocking quad-core Snapdragon 800 chipsets, comes as a very welcome surprise. This means the Nexus 5 is going to be seriously fast. 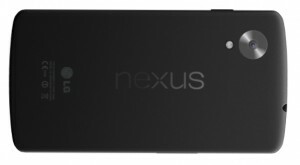 Considering the staggering price tags on the other devices in the benchmark test ($500-$800) it’s absolutely incredible that a device with this kind of performance could possibly come as cheap as the Nexus 5 undoubtedly will, assuming Google stick to the fairly established Nexus pricing structure. If there was ever going to be a diversion from this price point, this device would be it, but even if that happens it will still be way cheaper than everything else. If it stays as is, however, the Nexus 5 will cost half the price or almost two-thirds less than it’s competition. What would you prefer: a $300 Nexus 5 or a $750 iPhone 5s? If the cost/performance ratio is of any importance to you, it is almost impossible to find a better priced high-end smartphone. At half the price of comparable handsets the Nexus 5 is a no-brainer. There’s so much bloatware on consumer devices that many Android owners root and mod their devices simply to get rid of all that rubbishy content. From manufacturer UIs and apps to carrier bloatware, there’s plenty to get rid of right off the bat. Nexus devices are perfect for two reasons here: for starters, you don’t get any of that bloatware because they pack stock Android with only the essential Google apps pre-installed, and if you want to root and mod your smartphone you can hardly get a better test subject than a Nexus device in the first place. CyanogenMod installed on a Nexus 5 will be supreme Android indulgence. So whether it’s left pristine or modded to hell and back, a Nexus 5 will give you an unrivaled Android experience. In a smartphone landscape where the device you’re currently unwrapping has already been surpassed and the next best thing seems to come out every two months, the Nexus line has done an incredible job of staying relevant and competitive. I just bought a Nexus 4 in Google’s Play Store fire-sale (got to make room for all those larger screened Nexus 5 boxes) and I am seriously impressed by how well it handles compared to other brand-new devices I use in the AndroidPIT office. If the Nexus 4 has stood the test of time this well after a year, imagine how well the Nexus 5 will age. You may well not be looking at an upgrade until the next Nexus comes out in a year’s time. All we need is expandable memory, a better battery and camera and the Nexus 5 would be unimpeachable. So if you missed out on the joys of the Nexus 4, and even if you didn’t, the Nexus 5 is the next best thing. 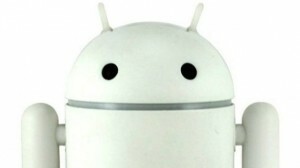 Have you owned a Nexus device before? 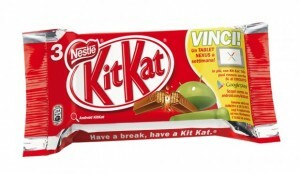 Are you hankering for the Nexus 5 release?